Kelly and Aaron Otting consider themselves money savvy. That’s why the longtime Dupaco Community Credit Union members from Worthington thought they were getting a good deal on their home and auto insurance coverage. When Dupaco Insurance Services agent Ken Bowers, at the Dyersville branch, offered to provide his friends an insurance quote, the Ottings kept putting it off. But last fall, they agreed to let him try to beat their amazing deal. Bowers came back with a proposal that not only provided the family more than five times their current coverage, including a $1-million umbrella policy, he also saved them $730 a year in insurance premiums. 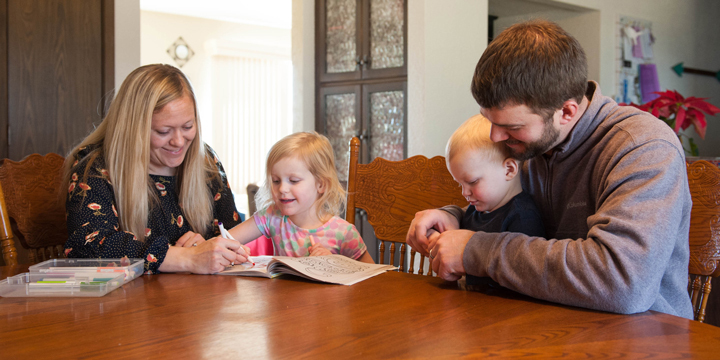 Kelly said the savings are significant to her family of four, and she and her husband plan to put those dollars to work by paying down their Dupaco mortgage even faster.